In 1876 Serbia was a vassal state of the Ottoman Empire with control over its internal affairs, but without the right to conclude international agreements or to wage war. The Ottoman Empire was in decline and revolts had broken out in Bosnia and Bulgaria, which although ruthlessly crushed had weakened international support, particularly in Britain, for the Ottomans. Serbia decided to take advantage by forming an alliance with Montenegro and seek support from Russia. General Chernyayev and Russian volunteers arrived in Serbia in May 1876 and he was made a Serbian citizen and general. The Serbian Prince Milan declared war on 30 June 1876. The Serbian army was little more than a militia with three classes of conscript, grouped by age. They formed six divisions each consisting of six brigades, a cavalry regiment and three (8 gun) batteries of artillery. Around 120,000 men in total. 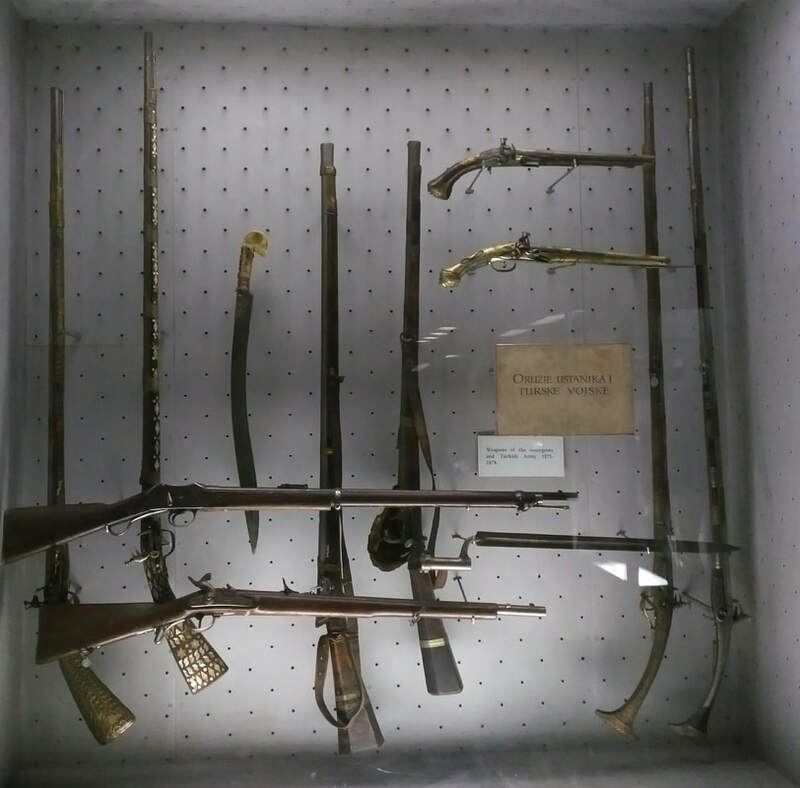 Weaponry was dated with the 1st Class armed with Peabody breech-loading rifles, 2nd Class had Greene rifles (converted muzzle loaders). The 3rd Class had old Russian muzzle-loading rifles, which were difficult to use in a trench. Artillery batteries utilised the old La Hitte system cannon. Only the 1st Class had uniforms, the rest had at best a greatcoat. The period illustrations show a huge variety of uniform styles. Officer training was limited, although an influx of Austrian and Russian officers (over 700) strengthened the command along with a sprinkling of volunteers from other countries, including Britain. 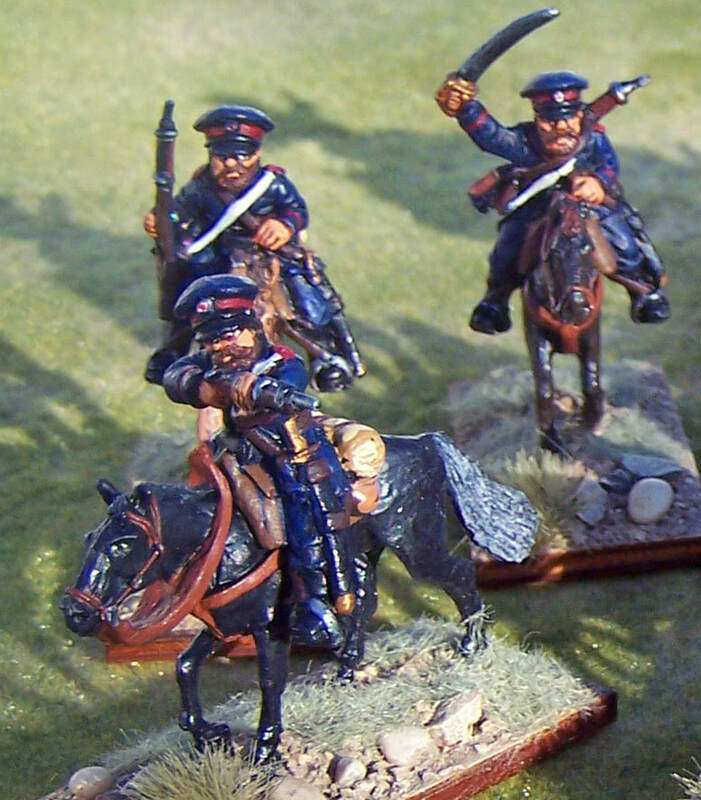 While Russian volunteers made up the largest element of foreign troops, including four Cossack regiments, there were Bulgarian and Hungarian battalions as well. The Turkish army were largely regular troops armed with Martini-Henry breech-loaders, although some would still have the converted British Snider rifles. They had excellent Krupp guns, although training with the artillery was limited. They totalled around 133,000, plus about 20,000 Bashi-Bazouks. 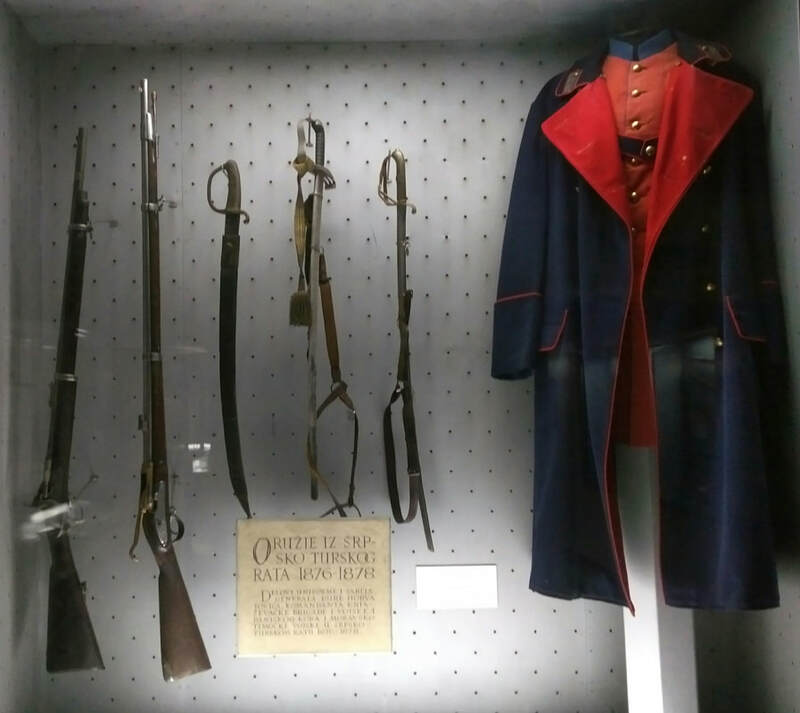 Regiments comprised of three battalions, but they rarely fought together. Units being grouped together for particular tasks. The commander at Nis was Abdul Kerim Pasha. The border in 1876 was in the Morava Valley between Nis and Aleksinac. The Turkish war plan was to advance from their base in Nis up the Morava Valley towards the main Serbian Morava Army, which itself planned to advance on Nis in three columns. 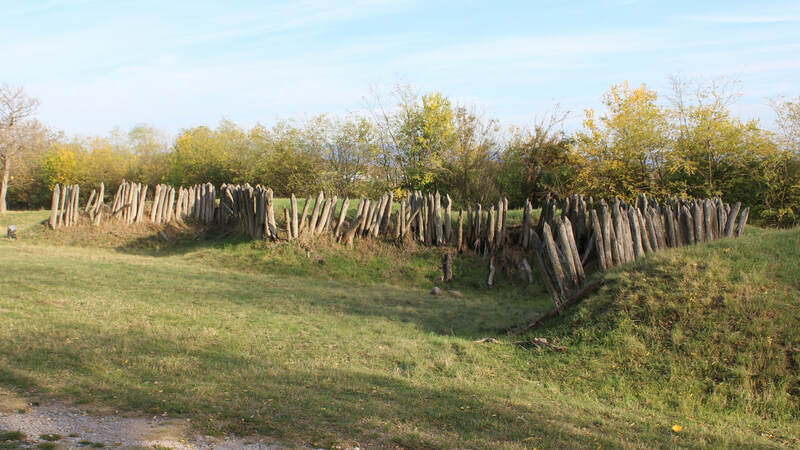 However, the Serbian army had also prepared defensive positions around Aleksinac, so when the columns were pushed back from the border villages they fell back to a line of redoubts east of the town at Sumatovac. Three Turkish divisions made two frontal assaults on a broad front on the positions in front of the town, but were repulsed. The Turkish commander Ejub Pasha decided to focus his attack on Sumatovac with 42 battalions, 30 cavalry squadrons and 30 guns in support. 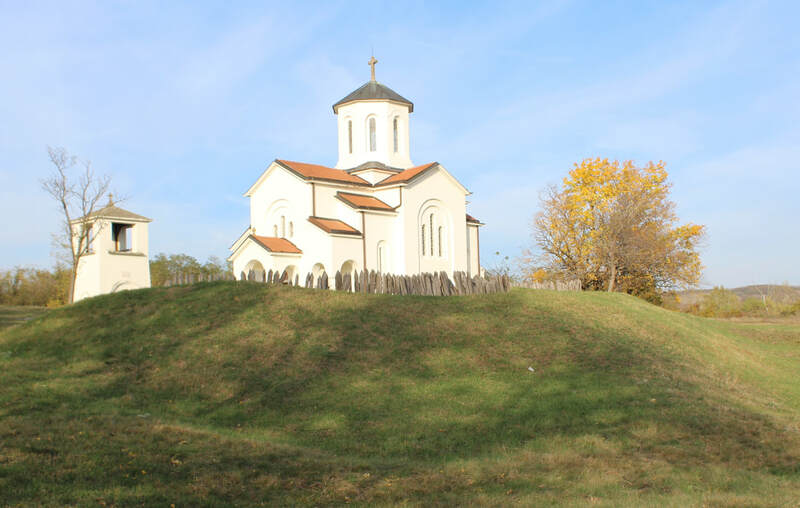 The Serbian commander shifted reserves across the Morava River and had around 20 battalions to defend the position. General Chernyayev arrived just as the Turkish columns advanced out of the woods in front of the position, and by shifting units he caught them in a murderous crossfire. Four separate Turkish assaults were beaten off with heavy casualties on both sides. The final assault at 8pm broke into the trenches, but a counter attack forced them back to the start line in the forest. Turkish losses were between 2,400 and 3,200 men. Serbian forces lost 146 men and a further 1,436 wounded. Kerim Pasha decided to shift his offensive to the left bank of the Morava River towards Androvac, leaving Bashi-Bazouks and Circassians to screen his right flank. 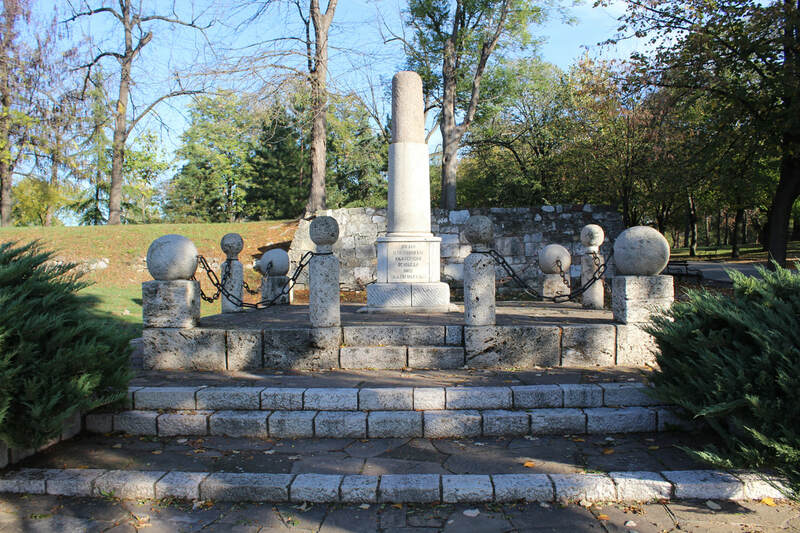 The main Serbian positions on the left bank around Aleksinac were held by nineteen battalions and five batteries commanded by Major Jovan Popovic. Two Turkish divisions (Sajib Ali Pasha and Fazli Pasha) attacked along the new front. When that attack was repulsed they focused on the Serbian right flank. A Serbian counter attack initially held the line, but weight of numbers forced them back. A truce was agreed on 12 September until 27 September, during which time the Serb leadership declared their full independence with Prince Milan as king. This allowed both sides to regroup. The Serbian forces grouped some 44,000 troops on a line that joined the high ground either side of Aleksinac with the town, commanded by Chernyayev. The Turks matched them with 65,000 men in five divisions commanded by Abdul Kerim Pasha, with a further 24,000 in reserve at Nis. The Serbians attacked on 27 September at Krevet, but were pushed back and the Turkish counter attack fared no better. The Serbian forces lost another 2,500 casualties and the Turks about 1200, for no real gains. Another truce was agreed on 2 October which lasted until 19 October. When the truce ended, a reinforced Turkish army attacked at Gredetin on the Serbian right, breaking through the valley and capturing Pescanica. 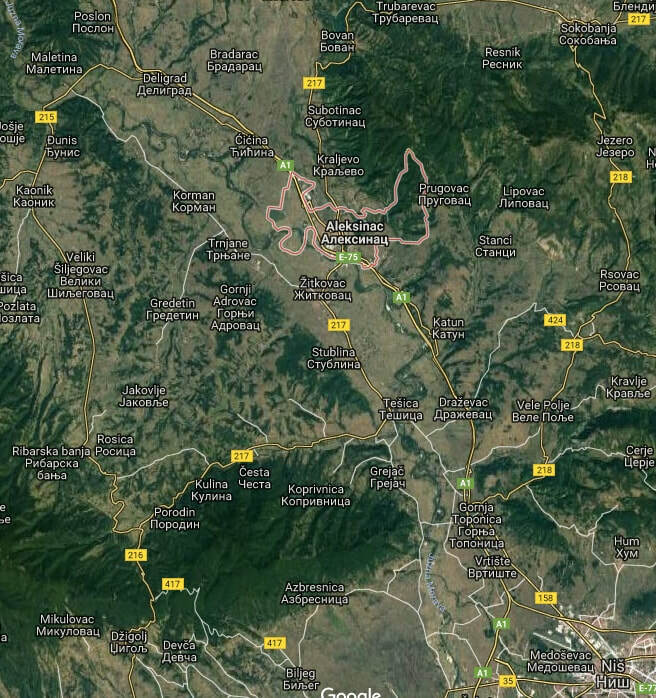 Several counter attacks by Serbian units were unsuccessful and this forced a retreat to a new line based just south of Djunis and Deligrad. Alexsinac had to be abandoned. 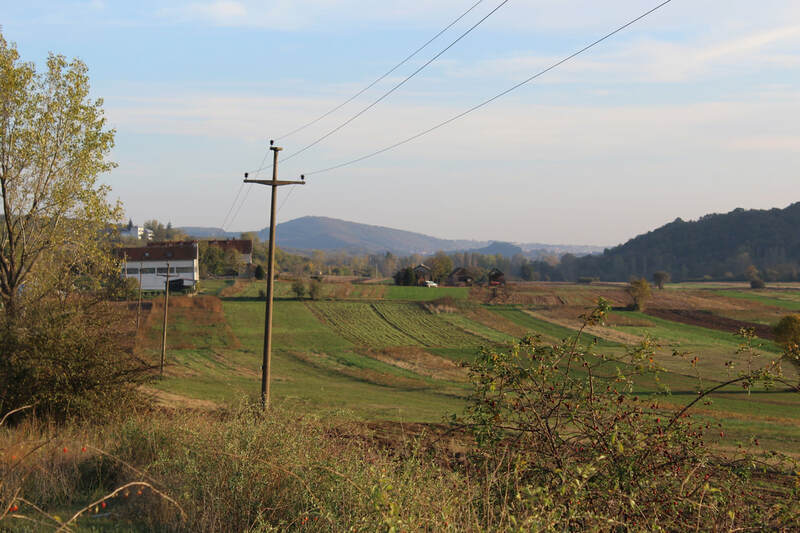 On the new line, the Serbian army was split either side of the Morava River, with 40,000 men under Horvatovic on the left bank and a further 30,000 on the right bank. The Turks assembled 70,000 men supported by massed batteries and broke through at Djunis, seizing the ridge between the Djunis and Morava rivers. This forced a further Serbian retreat to Deligrad. The Serbian position was now critical and a Russian ultimatum resulted in a ceasefire on 1 November. Following further negotiations, a peace treaty was concluded on 28 February 1877. The Belgrade-Nis motorway runs through the battlefield today, bypassing Aleksinac itself. The hills that secured the Serbian left flank are obvious as you drive down the motorway and once off the main road, the small villages and farmland are probably little changed from 1876. 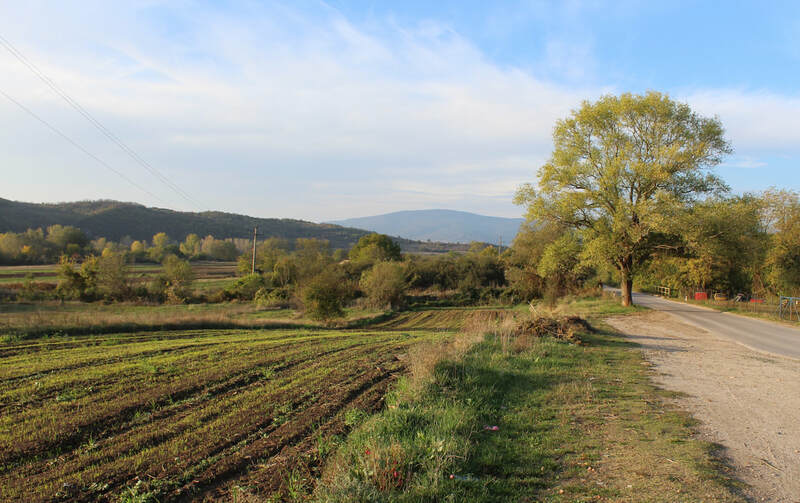 Other than the hills to the east of Aleksinac where the first part of the battle was fought, I was surprised by how flat the countryside is. I had pictured the battle in more rugged terrain, but in fact it’s a typical river valley. The fact that the main actions took place on the hillier flanks, probably reflects marshy river banks that have subsequently been drained. 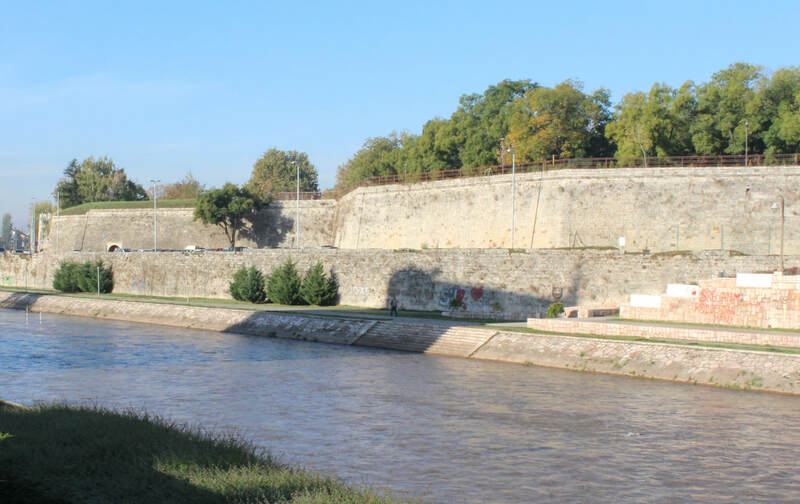 The Morava River was the main tactical feature of the battle dividing both armies, but giving an obvious advantage to the attacker. It is quite difficult to follow the flow of the battle, even on a detailed modern map. It covers a substantial area and some names have obviously changed. 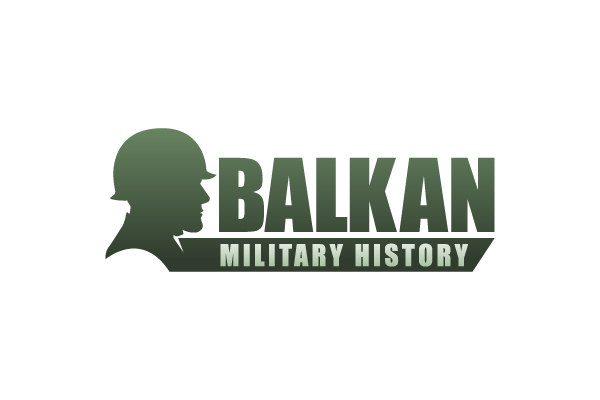 In English, there is really only one book that covers the battle in any detail, ‘The Serbian Army in the Wars for Independence against Turkey 1876-1878’ by Dusan Babac, published by Helion. It’s a patriotic description of the war, from a Serbian perspective, but it gives a detailed narrative of all the main actions. There are chapters on the weapons, uniforms and standards. The real strength of this book is the lavish use of period photographs and illustrations. For the political and diplomatic history, there is David MacKenzie’s ‘The Serbs and Russian Pan-Slavism 1875-1878’. British interest in the conflict spawned a number of relief funds and voluntary aid organisations. These included some redoubtable doctors and nurses who made their way to Serbia. Their story is covered in Dorothy Anderson’s ‘The Balkan Volunteers’. Not all the volunteers arrived with humanitarian intent. There were many ‘tourists’ and military observers, including two Scottish MPs. Colonel Robert McIver, raised a cavalry troop for the Serbian army and a young British lieutenant, Philip Salusbury, joined it and wrote up his story in, ‘Two Months with Tchernaieff in Servia’. An entertaining read, if stronger on what he eat, than describing military events! The Ottoman Turkish army is covered in several books on the Russo-Turkish war 1877, including the essential Osprey and Quintin Barry’s superb ‘War in the East’, again published by Helion. To refight the whole battle would be a major undertaking, given the geographical area and the number of troops involved. However, the battle can be broken down into sections as I have tried to do above. Essentially, it boils down to Serbian defensive positions being attacked by locally greater numbers of Turkish troops, supported by artillery. If the Turks breakthrough, there was usually a prompt Serbian counter-attack. 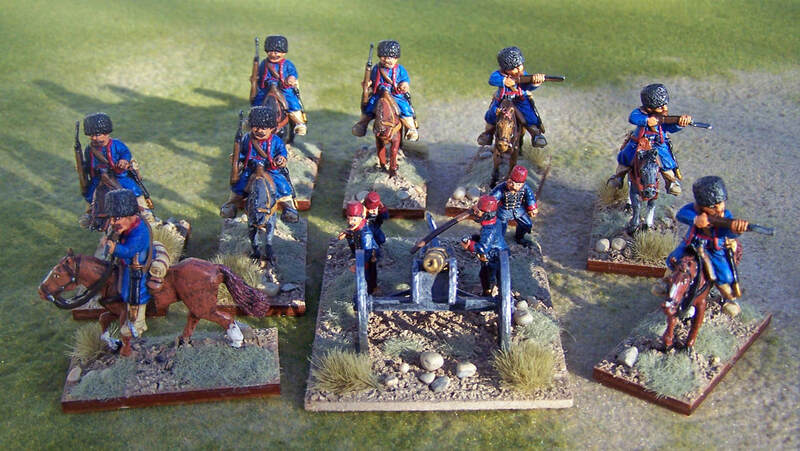 Turkish figures are readily available in 15mm and 28mm for the Russo-Turkish War. My favourite figures are from the Outpost range in 28mm. Serbian figures are more challenging. The distinctive Serbian Sajkaca cap was becoming common, although officers typically wore a French style kepi. The field tunic was brown, similar to the Austrian uniform of the period. Trousers or breeches were blue-grey. The greatcoat was blue-grey. I don’t know any figure ranges, so if you are very keen in 15mm, Austrian Grenzers with some filing of the caps might just do. French troops of the period for officers. Moustaches appear to be almost compulsory, beards very common! Hostilities reopened on 13 December 1877 when Serbia joined with the Russians in the Russo-Turkish War. With the Turks occupied in Bulgaria, Nis was quickly isolated and Pirot liberated on 28 December. The army then advanced into Kosovo before a truce was signed on 31 January. Serbia gained its formal independence and much of the territory it occupied in the Treaty of San Stefano and confirmed in the subsequent Congress of Berlin. A refight of a section of the battle using 15mm wargame figures, can be viewed on the Editor's blog.